Thank you for joining us on our Virtual Book Tour. Today we Welcome Ellen Gerst, the author of “Love After Loss: Writing the Rest of Your Story”. Ellen’s interview offers many insights and practical suggestions on how to assist a widow heal and find love again after the loss of her spouse. Please feel free to comment or share your own experiences with grief and the healing process in the comment section below. 1. I understand you were quite young when your husband died. How did losing him at an early age change your life? I was 39 years old when he died, and we had been together for over half of our lives. On the fateful day that he took his own life, I lost more than my husband; I lost everything that I thought was true about life and my personal world. The laws of nature had been broken, and it took quite a while to steady my compass. This made by grief journey very complicated. Although this sounds incongruous, my late husband was the most sane and rational man around. If he could commit this heart breaking act, then it was possible for anyone to reach such a crisis of faith. His death was truly a permanent solution to a temporary problem. And so he became the wake-up call for many of our friends to take stock of their own lives. Although I disliked having to be the example, I took stock of my own life too. I knew that I had a choice to either spiral downward or use this moment as the jumping off point for a life led in gratitude for what I did have rather than bemoan what I was lacking. And, if I had to lose my husband, I was grateful that I was young enough to have many years in front of me where I could utilize the lessons I had internalized from this life changing event. After many years of gut wrenching introspective thought and study, I was able to accept the duality of every circumstance man encounters. Consequently, I was able to look at my husband’s death as the very worst thing that happened to me, as well as the opportunity that allowed me to evolve and grow into the woman I am today. I have chronicled my journey from grief to renewal in the Introduction of Thin Threads of Grief and Renewal, an anthology of life changing stories of which I served as co-editor. 2. What inspired you to write the book Love After Loss: Writing The Rest of Your Story? Love After Loss: Writing The Rest of Your Story has been a continual work in progress. It actually started off as a blog (before blogs even existed!) of my Internet dating adventures. About two and a half years after my husband died, I started a relationship with a man I met on a blind date set up by mutual friends. And although it didn’t work out, I believe its greater purpose was to awaken my senses. I was so glad to feel SOMETHING – to know that my emotions had only gone on hiatus while I was healing from my loss. At about six or seven years out, I decided I was ready to look for a new life partner. Now, I knew I was capable of having a relationship; I just had no idea how to find one! So, what did I do? I turned to the modern day matchmaker … match.com! At first, I treated it as a science experiment. I wanted to have lots of different experiences, meet lots of different people, and mostly have some fun. As I progressed through the process, I started to hone my dating expertise and technique. Having only dated two people my entire life, I was pleasantly surprised at how well I performed this task! With a professional background in English education, I was always drawn to writing. With every job I held and with every personal experience, I either wrote a manual or a book. Since I was so steeped in dating, I decided that I would record how to Internet date safely and successfully. And when I felt disappointed by an encounter, I would write a story about it to see if I could extract the lesson I was supposed to learn. The book continued to grow in content as I included my thoughts on the tenets of a successful relationship. I started to share it with my prospective dates who I thought had promise as a treatise on “how to date Ellen.” They welcomed reading it – after all, isn’t it easier to proceed when you have the instruction manual in hand? After some time, I earned my coaching certification. Specializing in grief and relationships seemed an easy choice. I then revised Love After Loss to include a section that takes the reader through various coaching exercises to help him or her reach clarity about his/her situation. Looking for love after the death of a spouse is a bit more complicated than other types of dating. Contrary to a divorce or break-up, a marriage or partnership was not ended by choice and feelings of love and positive attachments are left intact. A widow/er must take an arduous journey towards personal renewal so he/she can find the place where welcoming new love does not feel like a negation or a dishonoring of the relationship experienced with a revered late spouse. At the heart of the matter is that I strongly believe that if one has navigated difficult waters successfully then he/she must put a hand out to help the next person travelling along a similar road. Love After Loss is that outstretched helping hand. You can read the first chapter of Love After Loss, “The Do-Over” on Scribd. 3. How does losing a spouse differ from losing a parent, a sibling or another immediate family member? Losing any close relative is devastating, so it is difficult to compare them. Moreover, since all losses are highly individual, it will affect each person differently. That said, I do think the depth of your grief and the affect it has on your life is somewhat proportionate with the length of your spousal relationship and with how close and/or dependent you were on him/her or the family member. Personally, I left home at age 17 when I started college. Upon graduation, I moved 3000 miles away from my parents. At most, I saw them twice a year for a couple of weeks. When my father passed away, I mourned him deeply, as well as the milestones he would be missing, especially since I was 8 months pregnant with my second child and my parents were scheduled to await the birth with us only two weeks before he died. However, since I neither frequently saw my dad nor talked to him on the phone because he was hard of hearing, it took a long time for it to sink in that he was actually gone. And although I felt his death emotionally, my daily life was not impacted by his death. What is tough about losing a family member is that you have a long shared history filled with memories that ‘outsiders’ can never appreciate. I think Erma Bombeck said it best. For me, I had this same bond with my late husband because we met before we were fully formed adults. We grew up together and, as you do with family members, we shared so many firsts. And as my siblings did, he saw me evolve from a teenager to a woman to a mother. Consequently, his death was a double whammy for me – the loss of a spouse and a close family member. So to answer your question … to me, the emotional pain of losing a spouse or another family member is pretty consistent. However when a spouse dies, the logistics and rhythm of life are disrupted more so than when a mom, dad or sibling passes. 4. Is there any one thing that your family or friends did for you that assisted you through the grieving process? They allowed me to progress through my grief journey at the speed that was just right for me. Moreover, I was not pressured by their expectations of what they thought I should be doing. Family and friends remained constant without hovering. I felt their love and support and knew they would swoop in to catch me if I were to fall, but, at the same time, they allowed me the space to try out my new wings. 5. What do you wish your family or friends had done differently after you lost your husband? Actually, I was very lucky. I know some widow/ers are disappointed by the reactions of friends and family, but I did not encounter that situation, except for one instance. Of course, it was partially my attitude too. I ignored, or chose to remain oblivious to, negative or hurtful words and actions. I know that before I lost my husband I, too, felt awkward and didn’t know what to say to the bereaved. I know one day when loss is experienced, each person will realize his/her inappropriate or hurtful words/actions. After my late husband’s death, I chose not to expend unnecessary energy on this type of behavior by taking offense and learned to accept that life is just a learning process for us all. The one disappointment I did have was that my husband’s two brothers deserted us. It’s been 15 years, and I still haven’t heard from them. However, I believe this is more about them than me. I imagine they still have not done their grief work, and they believe it would be painful to interact with me and their nephews. I simply feel sorry for them. They have given up a relationship with the two people who could have brought them the closest to the memory of their brother. It’s very sad, and I’m sure they will harbor regrets at the end of their days. 6. What suggestions do you have for widows that are looking for ways to start over and find love again? In order to be successful at this task, it is imperative that you finish your grief work before looking for new love. I think it’s okay to try dating before you are completely done grieving – as long as you realize it is only practice and that you are not ready to enter a fully committed relationship. The first step in the process of starting over is to discover and get to know the new you. In Love After Loss, I refer to this person as the “New Single You.” After having experienced such a momentous event in one’s life, it is virtually impossible to have remained the same. Consequently, one must spend time in introspective and explorative thought to find out who this person is and what he/she wants in life. 1. Dating is supposed to be fun, not a chore. Choose that mindset for the best result! 2. It is a numbers game. The more people you meet, the better your chance of finding someone to whom you can connect. Consequently, be open to meeting different types of people and ones that you might not have considered before your loss. 3. You must keep your expectations in check. Don’t approach each date with the idea that you are going to meet “the one.” Instead, look at each encounter as simply an interaction with another human being. Even if this person is not to your liking romance-wise, EVERYONE has something to offer …. even if it is only to reinforce what you don’t want in a new relationship. 7. What are your top three suggestions to help people move forward in the grieving process after the loss of a spouse? 1. Don’t grieve on anyone else’s timetable. Mourning is very personal, and everyone moves through the process at different speeds. However, this does not give you a “free pass” forever. You must continuously move forward, even if it is only in baby steps. 2. Make a conscious decision that you will conquer the grief issues that confront you so you can reach a place of personal renewal. I believe in order to reach a goal, you have to articulate it first; it is also imperative to know why you are moving towards it. If you don’t have good reasons why you want something, it is very easy to come up with excuses for not taking action. In truth, this true for any endeavor and not just mourning. 3. If you want to move successfully through your grief, you must have a change in perspective. While in mourning you will experience a myriad of emotions and swing from high to low – sometimes in a matter of a few minutes! Allow all these emotions to surge through your body, although do not attempt to make important decisions during this time. Think of yourself as a pendulum which swings back and forth and eventually comes to rest in the middle. After your emotional swings, you too should come to rest at the midpoint, or what I call neutral. At neutral, you can adjust your perspective and you are able to look in all directions to decide where you want to go next. Going forward with a positive attitude and one that allows you to be grateful for the things you do have instead of bemoaning what you don’t allows you to step into the renewal phase of your life. Awakening and throwing off the dark mantle of bereavement is a rebirth of sorts and allows you to see the world with clarity and to truly know what is important in life. 8. Our website focuses on providing tips to friends and family members on how to support a loved one through the grieving process. What would be your suggestions on how friends and family can support a widow that is beginning to write the new story of her life? In actuality, we all live our lives in stories, and they include many different aspects, including personal, professional, educational, charitable, familial and so on. Much of Love After Loss focuses on one avenue upon which to travel – that of romance. To provide support to a widow/er, attempt to put aside your own ego and what you think should be done or at what stage you believe your friend or family member should be. In other words … there are no set “shoulds.” What is or would be right for you is not necessarily right for the widow/er. And it is very possible he or she might make a mistake in judgment. However, as adults we must all take responsibility for our own actions. Simply because someone lost a spouse, he or she does not turn into a child – so do not treat him/her as such by telling him/her what to do. Additionally, be a good listener; support without judgment; offer an opinion only when asked; and don’t push or nag the widow/er to step into dating – only he or she will know the right time to start this process. And, if a relationship becomes serious and you do meet the prospective mate, take into consideration the pressure this person might feel about being “graded” to see if he/she is good enough. This might lead to awkward behavior, so be generous by giving him/her a chance to prove him/herself. 9. What is one thing you would like your readers to take away from your book? I think there are many lessons to be learned about how to move forward, how to date, and how to have a successful relationship. However, the underlying theme is that there is no such thing as a free lunch! Everything worth having is hard work and usually involves some sort of risk, with opening up your heart after loss being near the top of the list. You cannot wave a magic wand and wish that your grief would dissipate by itself and that your new prince or princess will gallop up and save you. Each individual must “save” him or herself with the hard work it takes to move from grief to renewal. And once renewed, love is the greatest gift to share with another. 10. What would you like our readers to know about you and the books you have written? I have always written from personal experience; it is how I figure things out. And when I do figure them out, I like to share! When I was widowed 15.5 years ago, support for young widow/ers was practically non-existent. I finally found one support group, and I began to write a newsletter for it. Every month I would write about an issue with which I was grappling. What I learned was that everyone was having similar experiences and that I just happened to be living mine aloud and sharing it with the community. Now online support abounds, and there are many opportunities to connect with others who need support. I believe I coped well with the hand I was dealt. Despite the loss of their father, I raised two sons who are happy and successful in their own lives. And I was able to reinvent myself and to find a new love of my life. All my books were born from my innate need to help others to gracefully and successfully travel the roads of grief to renewal. I believe my personal and professional expertise can be that helping hand to change a mourner’s perspective from darkness to light. 101 Tips and Thoughts on Coping With Grief is an easy-to-read reference guide for every day suggestions on how to deal with the practical, emotional, physical and spiritual sides of grief. Love After Loss: Writing The Rest of Your Story includes my own story, which can be read on Scribd.com. 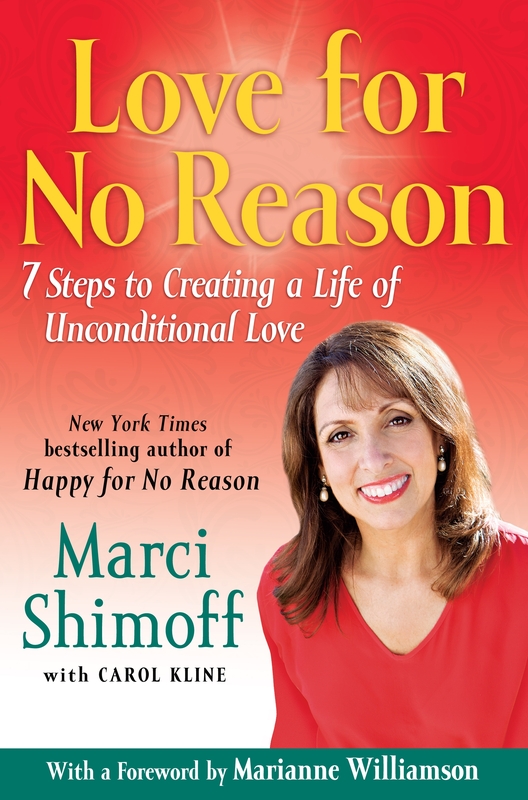 The book is a blueprint on how to use my successful method to find and welcome new love into your life after loss. In Order To Be Terrific, You Need To Be Specific! contains 150 specific actions that can be implemented for terrific results in dating and relationship development. 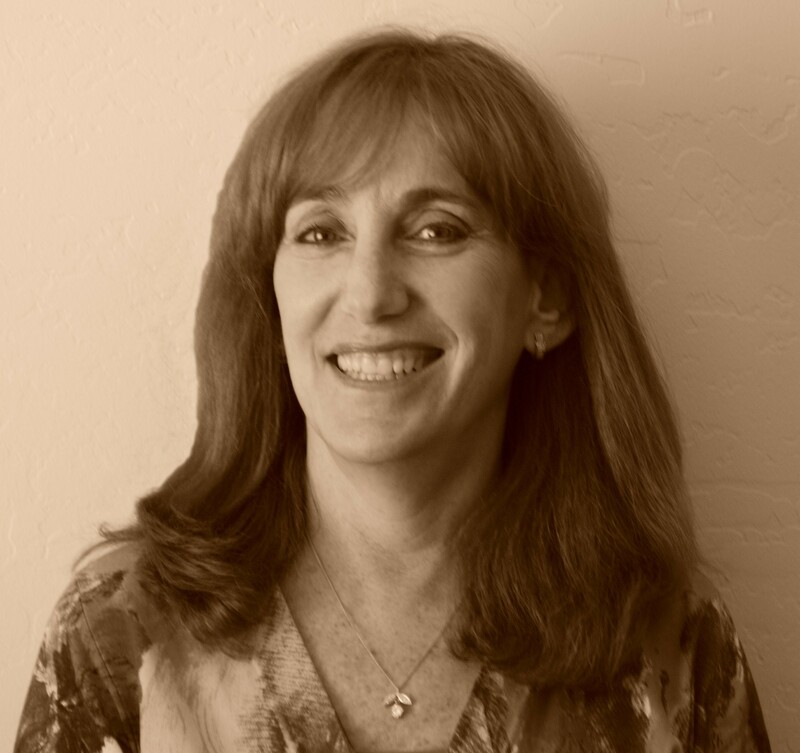 The Other Side of the Vail: Spiritual Guidance for Everyday Living was written with Melinda Vail, an intuitive therapist. It is a simple yet fascinating book that is perfect for one who is exploring the concept of spirituality and the possibility of being able to communicate with lost loved ones. Thin Threads of Grief and Renewal, of which I am co-editor, is a small volume of uplifting stories written by authors who have experienced great loss and who went on to find great personal renewal. It makes a thoughtful sympathy card that can be re-read when inspiration is needed to go on. To receive your free e-book, 25 Inspirational Tips and Thoughts on Coping with Grief, visit Ellen’s website at http;//www.LNGerst.com. Ellen is available for individualized coaching or workshop presentations for your group. Books are available for sale at the “Book Store” on her website.